Please introduce some grinding mills whose product fineness can be controlled between 600~1200 mesh? Question: Please introduce some grinding mills whose product fineness can be controlled between 600~1200 mesh? Detail: Please introduce some grinding mills whose product fineness can be controlled between 600~1200 mesh? When 600~1200 mesh grinding mills are needed, we generally recommend you two high efficient grinding mills, LUM series superfine vertical roller grinding mill and MW Micro-Powder Mill. 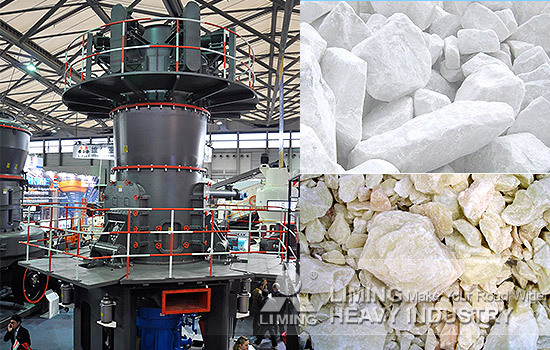 LUM series superfine vertical roller grinding mills can be widely used to process the superfine dry powder of non-metal ores such as calcite, marble, limestone, coarse whiting, talc, barite and dolomite and so on. With its advanced, efficient and energy-saving powder-concentrating technology, high grinding efficiency can be easily reached, and there will be little pollution to the final products. Besides LUM series grinding mill, MW Micro-Powder Mill is also specially designed for micro-powder making. The product size can be adjusted between 325 mesh to 2500 mesh (47-5micron). It can be used for non-metallic ores like limestone, calcite, kaolin, talc, illite, etc., and widely used in many industries, like toothpaste, cosmetics, rubber, paint, paper, PVC, glass, etc. Compared with jet mill, mixing grinder and ball mill of same finished product size and motor power, MW Micro-Powder Mill has double capacity and saves 30% energy. 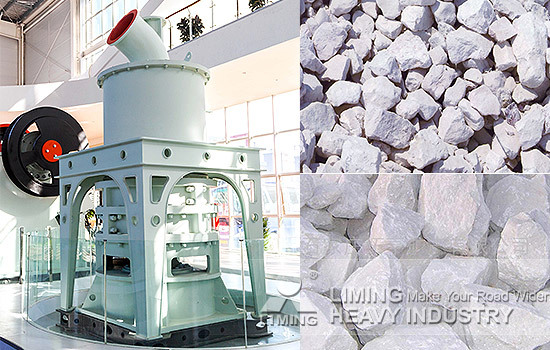 According to different materials and requirements, you can choose LUM series grinding mill or MW Micro-Powder Mill. For more information, you can ask our online service. We are glad to serve you wholeheartedly. <<Previous：How much does it cost to invest in a sand factory? What equipment need to buy? <<Next：What factors will influence the product fineness of grinding mills?